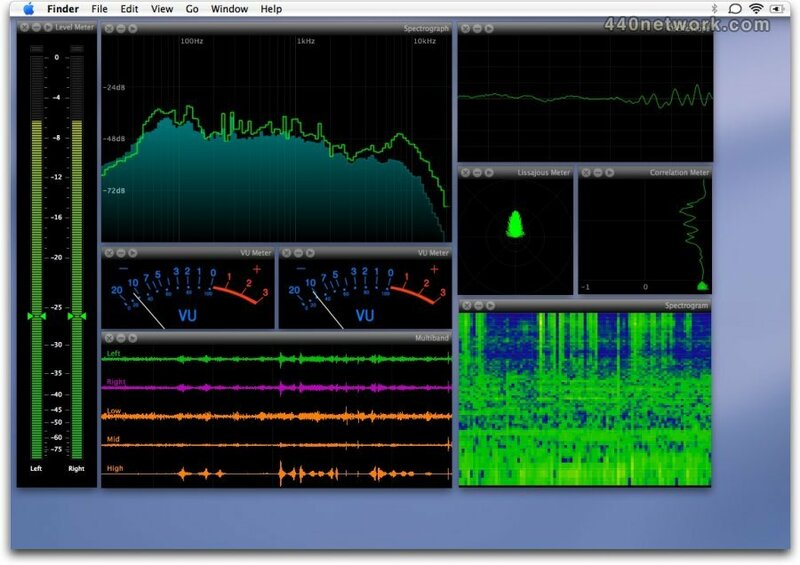 Spectre is a multi-instrument real-time audio analyzer for Mac OS X. Designed in Cocoa from the ground up, Spectre proudly takes advantage of Quartz, OpenGL, CoreAudio, and other solid OS X interface features. 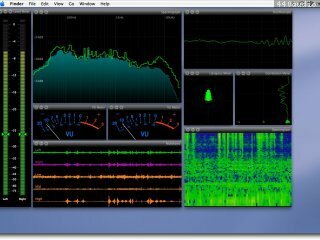 Spectre focuses squarely on live audio analysis by offering 9 different multi-channel and multi-trace meters. Each meter can have any number of traces or indicators, and each trace can have its own number of input channels, mixing, filtering, ballistics and color (including transparency). You can have as many meters (or copies of meters) as your screen will allow! Spectre not only analyzes inputs from your audio hardware, but can also receive input from network sources by using Apple's AUNetSend/AUNetReceive Audio Unit pair. With this feature, you can analyze audio from any Audio Unit insert on your multitrack (or other AU host) to Spectre running on the same or on another computer. Spectre is extremely flexible and accurate in it's display: utilizing optimized Quartz, OpenGL and clever memory management, each meter can be resized in realtime without interruption. Every meter has a set of useful factory presets, and meter settings (or sets of meters) can be saved. NOTE: This build requires Mac OS X 10.6 and an Intel processor. All future builds of Spectre are Intel-only. We will no longer be releasing Universal binaries of our apps.